We offer our clients professional, customized invoicing and statement services. Our simple and easy-to-use system takes the hassle out of billing. We will guide you from statement design to data processing and mailing though our easy to use online system. You will always have direct contact with our IT department and processing staff to facilitate and streamline the entire process. We want to make your billing a comfortable experience, allowing you to focus on your core business. We stay current with all USPS Regulations, so you don’t have to worry about an ever changing post office. Let us save you time and money with our state of the art online services, equipment and highly trained personnel that can complete the job in the most accurate and cost-effective manner possible. With our paper billing system, any company can have professional, high quality invoices and statements. 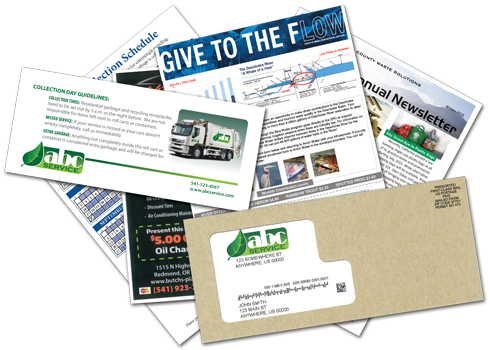 Our flat fee includes a custom designed statement, mailing envelope, and a reply envelope. Envelopes are available in white, kraft, and security. The mailing envelope is a #10 custom boot window envelope, which allows your color logo to show through. 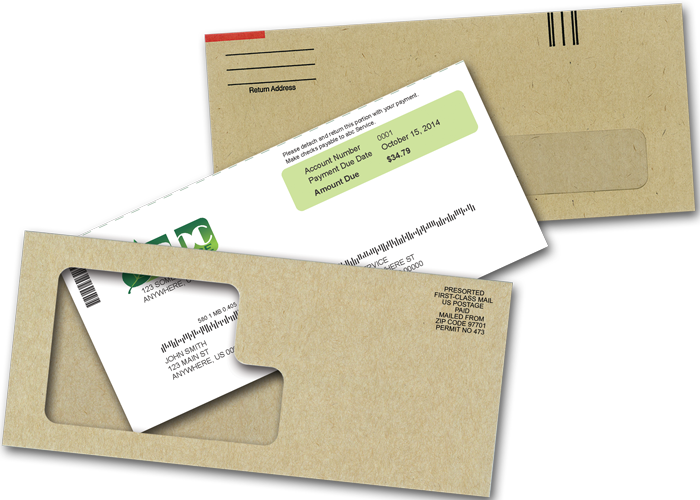 The #9 return window envelope can also have optional color indicators to simplify sorting of inbound payments. We custom design all statements to meet the needs of our clients. This customization comes at no extra cost and we charge no setup fees, everything is included in our flat fee. Statements are printed on high quality, 30% post-consumer waste, 24lb paper with a full color front and one color back. The statements include a perforated return coupon on the bottom for remittance designed to fit into the #9. 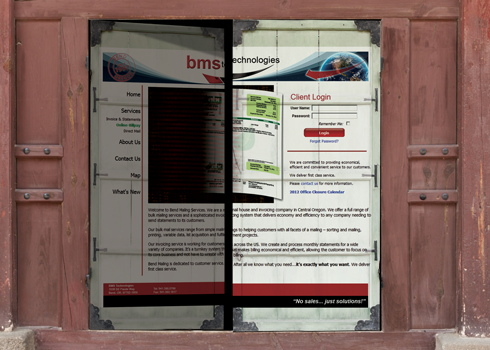 We tailor our software to work with whatever billing data you can produce. Our systems can be modified to fit almost any request. Our online gateway makes every aspect of your billing a breeze. Through this secure portal, you’ll have the ability to manage statement services, upload billing data, create new jobs, check job status, create E-bills, set-up custom inserts, track mail, and have full access to 24 months of statement PDFs. Our easy-to-use job creation wizard allows you to quickly and securely upload your billing data, add comments, and select inserts. 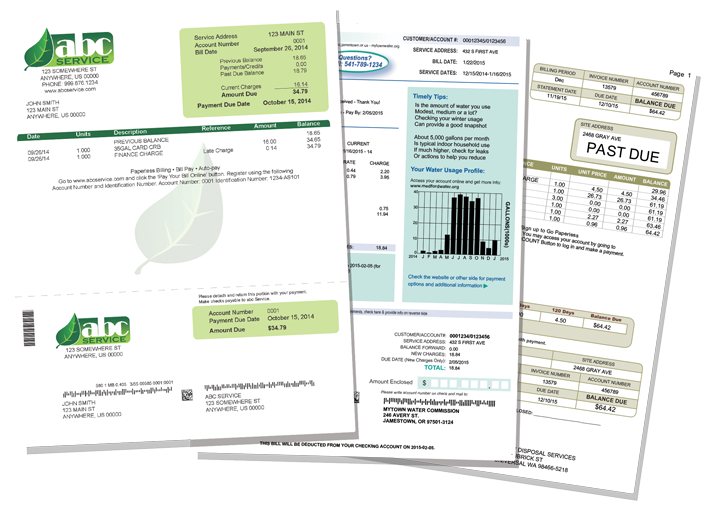 We can help design and print inserts for your billing statements. Inserts can be selectively included, allowing you to target specific customers or groups. We have a dedicated staff member ready to walk you through each step of the process. They will work with you to ensure the finished product is exactly what you want. Save money by using Ebills. 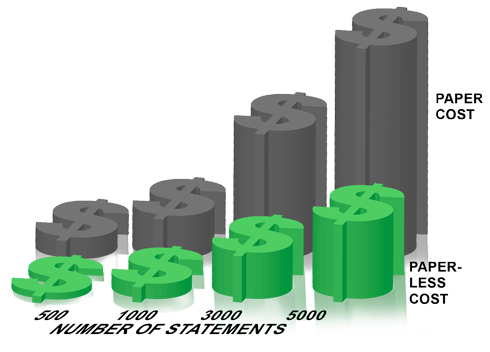 For a fraction of the cost of a paper statement, electronic statements get delivered to your customer instantly reducing remittance time. Best of all, e-billing reduces paper waste and lowers greenhouse gas emissions, making it as good for the environment as it is for your wallet. 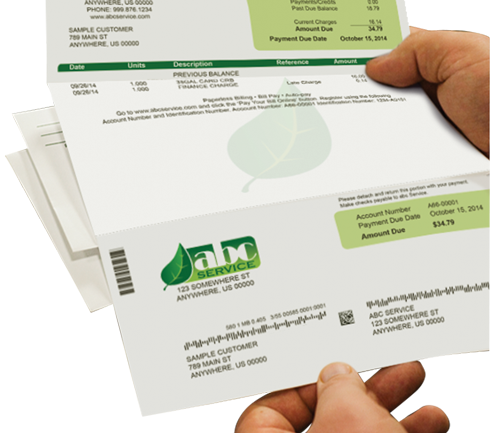 Each e-bill sent to your customers contains everything that we send to your paper statement customers, including newsletters and custom inserts. 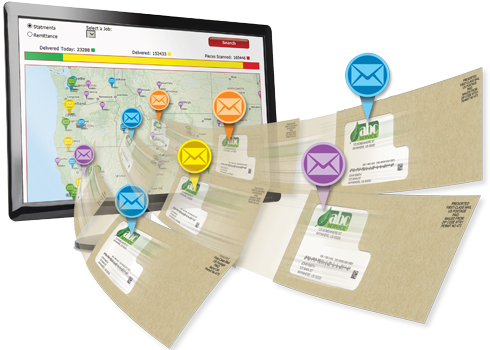 Using IMb Tracing™ data from the US Postal Service, we can track your statements as they move through the postal system. Our map lets you watch your statements move throughout the country, and even see when the remittance is on its way back. With estimated delivery dates, you can know when a customer received their statement. See how simple your billing can be by contacting us today.